The innovative American running-shoe brand is the new technical sponsor of Move It Garda. A partnership destined to boost the brand’s popularity in Italy, where HOKA ONE ONE ranks as the fastest-growing company in the running-shoes market. 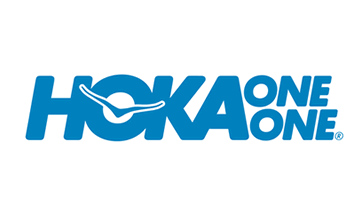 Unlike its more famous competitors, HOKA ONE ONE focuses exclusively on designing running shoes. The result has been novel cutting-edge products bought by an increasing number of runners. Retailed exclusively in Italy by Artcrafts International S.p.A, the US company considers the partnership with Move It Garda key, as its marathons best express the spirit of a sport practiced in a highly-valuable context, which has always been at the core of the company’s philosophy. HOKA is especially interested in Move It Garda because of the many female participants, who the company looks at with special interest, as it wishes to support the increase of women runners in such contests.